Well, its been about a few weeks since I seriously posted on my blog. I have been pretty sick and it has seriously slowed me down. However I am back and ready to write! So recently VoilaVe came out with this amazing product! Dead Sea Mud Mask! If you ever read my blog before, you would know that I am in love with everything mud! Well for skincare needs that is. About two months ago I tried a mud mask and while I loved it, I couldn't get over the stinging burning sensation it kept leaving me. And though it did leave my skin all nice, smooth and hydrated, it still always felt like it was burning my face. After a closer look at the ingredients I realized that it contained eucalyptus oil which is a known irritant for the skin. After finding this information out, I realized I would have to discontinue the use of that dead sea mud mask in order to avoid irritating my face. However nothing like VoilaVe to save the day! The reason while I love VoilaVe so much is because they actual have quality skincare products that are not only packaged right but they are formulated correctly. Also, this mask is certified organic which means all the products used in this mask natural. I received this product about two weeks ago and couldn't wait to try it. When I open this jar, the first thing I noticed was just how big it was. It came in a 16oz jar. The consistency of it is very creamy and smooth and the color is a dark green. I took a knife and mixed it well in order to make sure it applied to my face evenly. It went on pretty smooth and a little went a long way. I left it on for 15 minutes and used it twice a week. I noticed that I had no burning sensation whatsoever during the whole time I had it on. I did brace myself for the pain, but it never came. Thank goodness for that! It dried to a nice hard but soft texture. So I was still able to talk, somewhat without my face cracking and falling off. After I washed it off my face, I noticed it came off easily with no green residue left behind and no tightness to my face. It left my face feeling well hydrated. I honestly was in love with the glowing results this left me. This mask is 99% organic and natural. It has only one unnatural ingredient which is xanthan gum. However before you go running for the hills, the majority of all skincare and body care products have xanthan gum in it. This product is mostly used in order to help thicken the product and allow it to glide on smoothly. It is considered safe for personal use and can be found in many different items. One final note worth paying attention to. Since this mask is 99% natural and organic, its best you keep it in the fridge. The majority of the dead sea masks that are organic and natural lack the properties needed for a long shelf life, which is good. The reason why a lot of skincare products can last the dawn of time is because of all the crap and/or chemicals contained in them. So in order to ensure that your mask stays fresh and last awhile, keep in the fridge and NEVER in your bathroom where the constant drastic change in temperature will affect it. I have to say I truly love this mask and it is now my holy grail and top number one in masks! 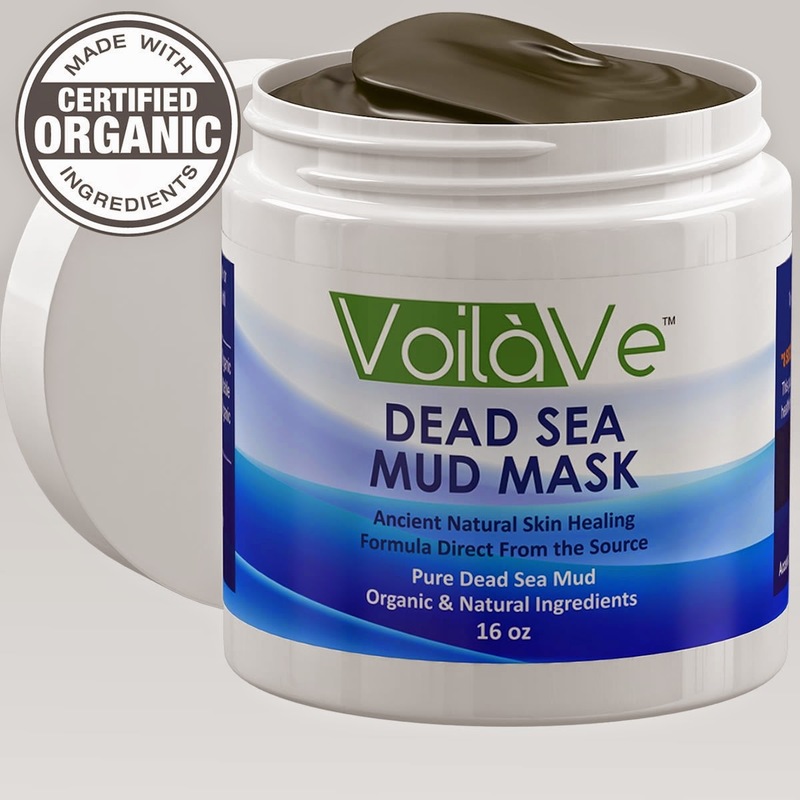 I would for sure recommend you give this mask a try if you want to use real dead sea mud that is natural and organic! I have to say, I have really been enjoying all of VoilaVe products so far and can say that I have slowly but surely been swapping out many of my skincare items for this company's' products. I am truly satisfied with the quality of their products and how well formulated them are. VoilaVe is for sure taking over my skincare routine and bathroom vanity! I received this product for consideration. I was not paid for this review and only write about products I believe and would use myself!